Central Bank of India published advertisement for recruitment of Office Assistant & Faculty. For more details regarding education qualification, pay scale, how to apply, selection process, no of posts, last date for submission application and other details are available at given below link. Office Assistant: Shall be a Graduate viz. BSW/ BA/ B.Com with computer knowledge. Faculty: Post-graduate viz. MSW/ MA in Rural Development/ MA in Sociology/ Psychology/ B.Sc (Agri. )/ BA with B.Ed. etc. Experience: Should be well conversant with the local language. Should be resident of the same or nearby district/residing at the head quarter of RSETI center. Selection will be on the basis on personal interview and the decision of the Society/ Trust in this regard shall be final. 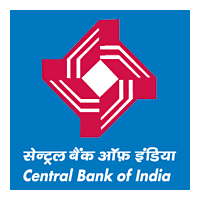 Office Assistant: Senior Regional Manager, Central Bank of India, Regional Office, Opposite to MBS Hospital, Civil lines, Nayapura, Kota, Rajasthan. Faculty: Regional Manager/Chairman, Local, Advisory Committee, Central Bank of India, Regional Office ,Nayapura, MBS, Hospital ke samne, Civil lines, Kota, Rajasthan.